Here are small UI mods that I’ve found to be useful at least for myself. Please backup all the files that you are planning to modify. Even a single misplaced comma can make your game crash during the startup. Luckily this can be fixed easily with the backups. 2019-03-22: Added modified english.json files to help with editing issues. 2019-03-22: Fixed a dublicate name-structure from “Cistom character notes”. -Notice that that the last line doesn’t have comma, because it’s the last line of the file. -The replacement also includes an object (zzRowTextTpl) just before that “scrollCharacterTpl”. -Notice that the last line has comma. 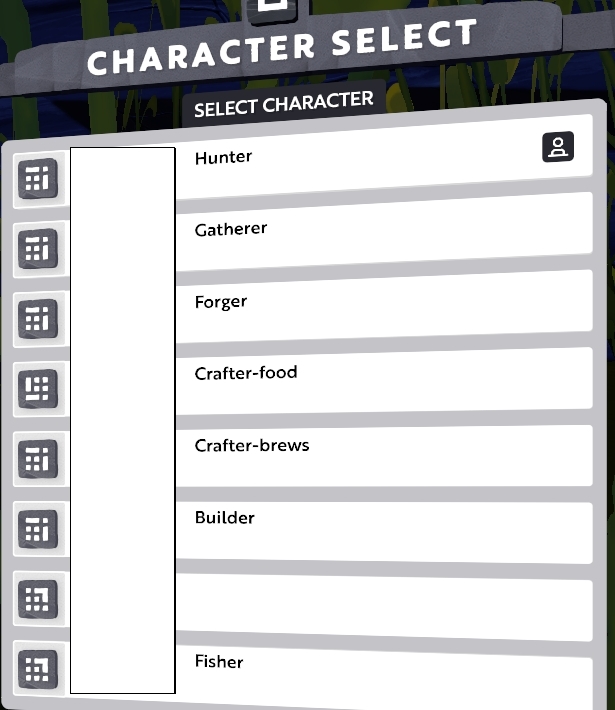 It’s meant to be added anywhere, but NOT as the files last line. -Now you can edit the values of these lines to change the character notes. How are you organizing your gleam? These look great. Wish we could get them on the PS4. I’d change the aiming reticle color too when using atlases. Aren’t those changes reverted with every official updates the game receives, though? Not necessarily, just the updates that have changes in those files, if the update doesn’t change them they stay modified. But this is awesome! This also shows me how to modify some of them, previously I’ve just changed some numbers here and there (forge animations, gleambow trail size). A thing to note if somebody starts exploring the files is that there’s some stuff that’s not completely client side and modifying it doesn’t really work. For example there’s a cooldown variable for bumping a portal, you can set it to zero locally, the button becomes clickable in your game client, but it doesn’t do anything until the real cooldown on the server has elapsed. Only if an update needs to change those particular files. These are pretty neat, some of them should be integrated in the game by default, especially more planet info (at the very least protection needed) and color palette index! I don’t think I’d mod the game like that if the devs can revert the mods at any given time, since they update the game every few weeks, but yeah, some of those changes could serve as an indication of what players need and could be easily integrated / fixed. The character notes and compass change could also be incredibly easy to integrate for the devs, I think. I’m sure they’ll look into that soon enough. I’m wondering if its possible to have skill pages also labeled with notes similar to the custom character notes? Is that something that can be done? There are propably cleaner ways to do these modifications? I tried some, but ended up doing straight file modifications and code replacements. Ideally we could just create our own json-files that would extend/replace the original objects/templates. Even if there were no perfect solutions, it would be nice to hear from devs, or players, some tips about doing these modifications. I’m wondering if its possible to have skill pages also labeled with notes similar to the custom character notes? As far as I know, you could add notes for all three skill pages, but these would be identical for all characters. I don’t know how to identify which character is currently active. I know how to get the variable, but I don’t have means to compare it to another string. You might be able to do some messy hack with string lenght, but not a solid solution. Nicely done, I’ve been wanting my cardinal directions easier to see in a crowded area. so I will have to remember that one for sure. I have been wanting to dive into some light UI mods, but I never seem to have the time to do all the playing I want to do let alone the modding lol. Awesome mods! I tried applying the color codes one but it kept giving me fatal error back. Something along the line of Fatal Error Line 1 Column 1 blah blah lol. I did eventually verify the files and got the game running again but I wonder did I miss anything anywhere? I even thought maybe I copied some space along the way so I manually added the numbers to some colors and saved on the same file but still got the error. When I had any problems with the mods. it either freezed or crashed during the loading screen. If it got to the logging in part then usually everything was fine. Don’t recall ever getting fatal error messages. You could go to %LOCALAPPDATA%\Turbulenz\Boundless\ directory and look for log files. [ERROR] and [WARN] lines could help you to pinpoint why this is happening? No it was in the loading screen before logging in - as soon as i launch the game. Replacing the edited file by the original file solved it. 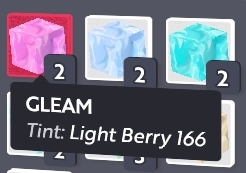 We are actually getting these into the next update! I tried applying the color codes one but it kept giving me fatal error back. Something along the line of Fatal Error Line 1 Column 1 blah blah lol. Thanks RedY3 for helping to solve this issue. This resulted for the whole english.json file being unreadable. I’ve now also added already modified english.json files to the OP. Thanks for helping with this. A simple edit like this one helps a lot in-game.